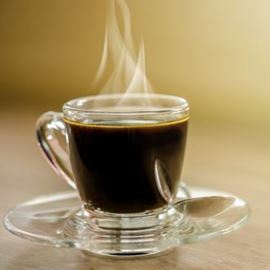 Botz coffee - Botz (which translates to mud) Coffee is a hot drink made of of brewed grounded coffee beans in boiling water (usually right in a personal glass or mug). 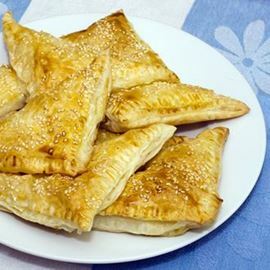 Burrekas - A popular baked pastry shell. 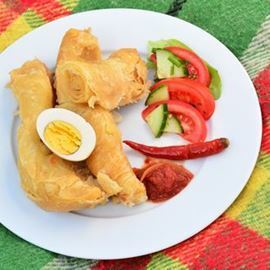 The Burrekas are filled with either potato, cheese or spinach. One of Israel's most iconic foods. Despite the fact that it originated in Turkey. 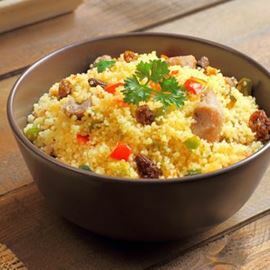 Cous Cous - A traditional North-African dish, made from semolina grains that rise when boiled in water. Cous Cous goes great with soup, spicy fish and vegetables. 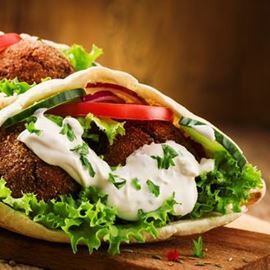 Falafel- The most iconic Israeli dish alongside Humus. Deep fried chickpea or fava beans balls. 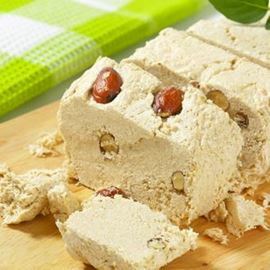 Halva - A solid sweet, produced from raw tehina (sesame) and based on organic oils. The name "halva" comes from Arabic and translates to -"ground candy". 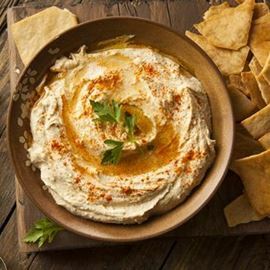 Hummus - A dish made from grounded chickpeas, served as a paste. The hummus is the most popular dish alongside falafel. 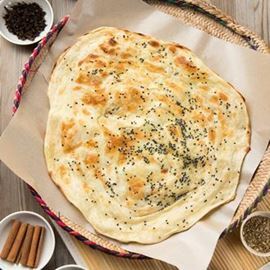 Jahnoon - A traditional and amazing Yemenite dish consisting of dough, butter, salt, sugar. The dough is rolled and goes into the oven for a slow baking. 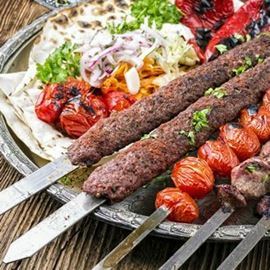 Kabab - Spices and juicy patty of minced beef, lamb or mutton, which is roasted on the grill. The difference between the Kabab in Israel and the Kabab from the rest of the world - here it's the best. Hands down. Mallawach -A crispy and divine piece of dough. The refined cousin of the Jahonoon, the difference is primarily in the slightly less generous quantities of butter. 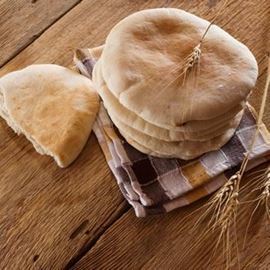 Pita - A flat, round wheat bread and one of the most Israeli street food's most dominant hallmarks. Its round shape and the fact that you can easily make it into a big pocket, makes it the perfect vessel for sandwiches. 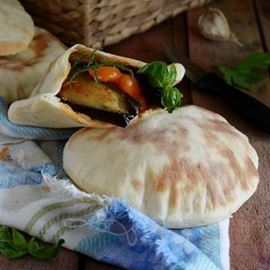 Sabich - the sabich ingerdients are those of the traditional breakfast of the Iraqi jews - fried eggplant, hard-boiled egg, tehina and vegetable salad. In Israel, we put those ingredients inside a pita. 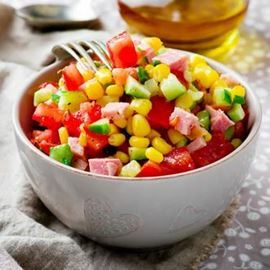 Salat Katzuz - A vegetable salad, based mostly of tomatoes and cucumbers, and characterized by being chopped into extremely small pieces, which gives it its unique texture. 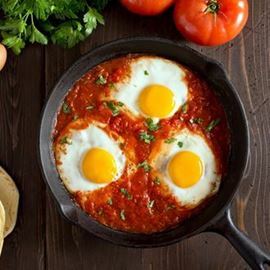 Shakshooka - A north African stew consisting of eggs. tomatoes, olive oil, onion and peppers and cooked over a low flame. Shawarma - A middle-eastern dish and the reason we wake up in the morning. 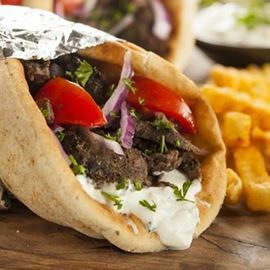 The Shawarma is made from meat chunks that spin slowly on an iron rod next to a heat source, that way the meat is cooked slowly and for a long time. 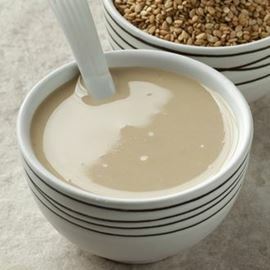 Tehina - A glorified sesame seed-based dip that is the middle-eastern answer to mayonnaise.